The direction your roof is facing, the type of material on your roof, and the pitch of your roof all play a factor in deciding if your home is solar ready or not. Many homeowners are unaware of the specificities that go into designing and installing solar systems, which is why West Coast Solar is here to help you understand what it means for your home to be solar ready. In part one of this blog series, we discussed home energy efficiency and how specific roofing materials can affect solar system design and installation. Which Direction is Your Roof Facing? Homes in the Northern hemisphere facing to the south are great candidates for solar panels systems. They offer the greatest opportunity to produce the most solar energy due to their alignment. If your roof faces east or west, you can still install a solar system to harness the sun’s rays, but you will see slightly less energy production due to the system’s alignment. Keep in mind that if you’re building a new home to discuss your home’s azimuth (the direction your roof faces) with your architect and designer. If you want to install a solar system, this single detail will determine the potential energy production of your system. Does Your Roof Get Direct Sunlight? Although your roof may face in the proper direction to take advantage of a solar system, you will want to make sure your roof also has direct sunlight access. This means shading, light interruptions, or anything else that can block the sun from reaching any kind of solar panel is an obstruction to your renewable energy plans. Shading isn’t as bad as one may think, however. If your panels are facing in the correct direction, and the sun will hit the solar panels during peak daylight hours, the shading won’t be an issue. If the sun is intermittently reaching your solar panels, you may need to consider another option like trimming trees, moving structures, or setting up your solar system somewhere else on the property. You will need to consider the pitch of your roof. Depending on your location, your solar system pitch will be adjusted to get the optimal amount of sunlight, and the pitch of your roof can affect how the system is attached and setup. Ideally, solar panels are set between 25-45 degrees, depending on the roof pitch. How is Your Home Electrical System Set Up? In newer homes, the electrical panel is set up properly to handle additions like a solar system. However, in older home electrical panels, you may need to upgrade your panel to allow a solar system to be integrated into your home. Some states require an upgrade whether your home is new or old, so it’s best to discuss this with your solar installation experts at West Coast Solar. What if Your Home Won’t Work for Solar Energy? It can be frustrating to realize your home isn’t able to support a solar system, which means you aren’t able to take advantage of a solar power system. At West Coast Solar, we understand what it feels like to want to help the environment and go green but can’t. There are, however, a few more options to consider before you give up on your solar system endeavor. One popular solar energy option is what’s called “community” solar. It’s a system set up to allow a neighborhood or collection of homes to use solar energy without having the panels on their individual properties. The system is great if homeowners associations or local municipality codes don’t allow solar panels on roofs, to take advantage of. You may be able to install solar panels on your property other than your roof, which may be acceptable to your homeowner’s association and will get your panels more sunlight, producing more energy. If you’re committed to going green, we can help you find a way to achieve it. Give West Coast Solar A Call Today! Our team is ready to help you find the best solar power system for your energy needs. We’ve helped thousands across California in Sacramento and San Jose get the systems they needed. 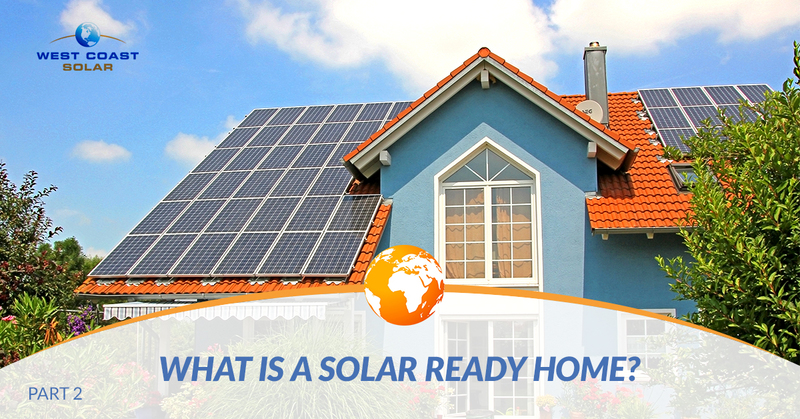 If you’re not sure about your home being solar ready, give us a call, and we’ll help you.